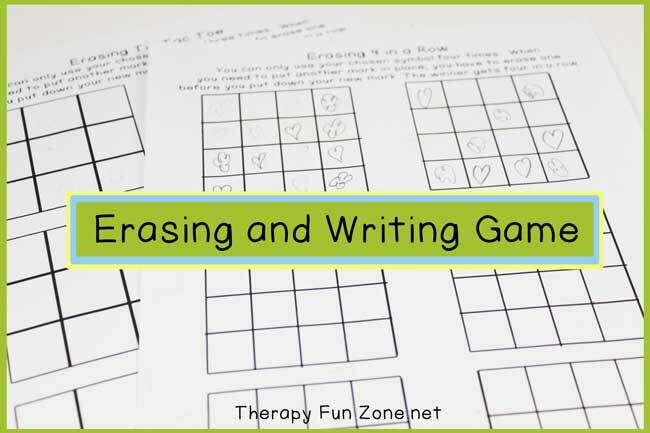 This is a simple and fun game to practice writing and erasing. It starts with the concept of tic tac toe, but you can only have a certain number of marks on the paper, so you have to erase to keep playing. It is great for older kids that need that extra challenge, and that need to learn to erase properly.